People are being slaughtered around the world in the name of Allah. 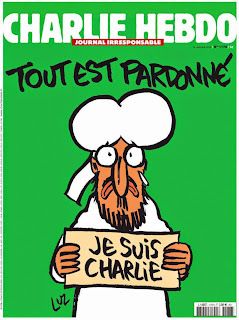 But it's good to see so many Muslims who realize that cartoons are much more important. Agence France-Presse—Tens of thousands took to the streets in cities across Iran after Friday prayers to condemn French satirical magazine Charlie Hebdo for publishing a cartoon of the Prophet Muhammad. The biggest demonstrations were in cities other than Tehran, with state television showing large crowds angered at the depiction of the prophet. 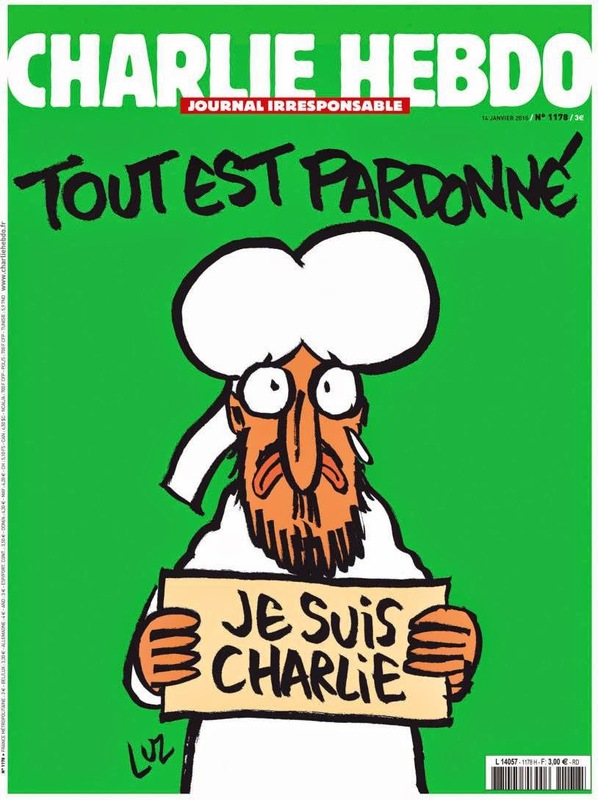 The image was published one week after 12 people were killed by Islamist gunmen at the magazine's Paris offices because of earlier such cartoons. "Death to France, death to Israel, death to Britain, death to Charlie Hebdo," the crowds chanted in southern cities such as Qom and Isfahan, carrying flags and placards in reverence to the prophet. No America? Coincidentally, 2/3 listed were countries recently snubbed by our Imam In Chief. All of your videos are excellent. This one was very insightful and funny. Thanks for all the work you do studying and teaching. It looks like Iran is waiting for signature of nuclear deal with America that prevent them calling name “death to America”. Where are good Muslims who believe Islam as peaceful religion? There were no signs that condemned killing of 12 journalists and 4 Jews in Paris without trial. There were no condemnation burning Churches and killing 10 more innocent people in Niger who were not involved in drawing cartoon. No other religions of world are such unruly. It looks good Muslims are rare in Islam. Does Islam allow general Muslims to take laws at their own hand in broad day light and kill innocent people? Six billion non-Muslims of the world demand justice from UNO, INTERNATIONAL COURT to condemn Muslims countries not taking any actions preventing Muslims to take laws at their own hand by the name of Islam and kill non-Muslims by the laws of Jungle that allows extra judicial killings by violent protest. When your religion is geared towards adoring and worshiping a sinful man, this is the inevitable outcome. Another one took place in Australia and earlier on, the Philippines. Let's see one against ISIS for once, people. Just once. There are 5 Stages of Jihad.1. When Muslim Population is Negligibly low. Highly complacent and cooperating Society.2. When Muslim population rises further. Comes up with Requests. 3. Further Rise in Muslim Population; comes with Demands. 4. further Rise in Muslim Population; Demand turns to Grabbing. 5. Further Rise in Muslim Population: Subjugate on ther Communities. Watched a lot of your videos. I liked it and thank you for having the courage to show the Muslim about Lord Jesus. A point for you David. Have you ever wonder why the Muslims get so angry when Muhammad get insulted by either criticism or pictures or cartoon and they (Muslims) say that it is blasphemous. Isn't that making Muhammad is equal to Allah and isn't this makes Islam not a monotheism? I think you may ask this to our "beloved Muslim" to think about their action. I just can't understand why Muslim has to kill when Muhammad is insulted if he is not even God.